Visit Lacey's Merry Christmas "Winter Wonderland" video here. 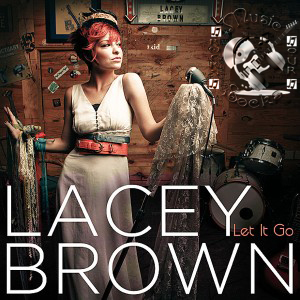 Still an Idol, always an Idol... Lacey Brown breaks ground with her new release "Let It Go". I received a submission email from AirPlayDirect a while back, and I was going through her collection of songs... she's really hit it out of the park with her new releases. Her six song EP debuted back in May, and it's a definite add to your collection. Country/Bluegrass mix is sure to please. 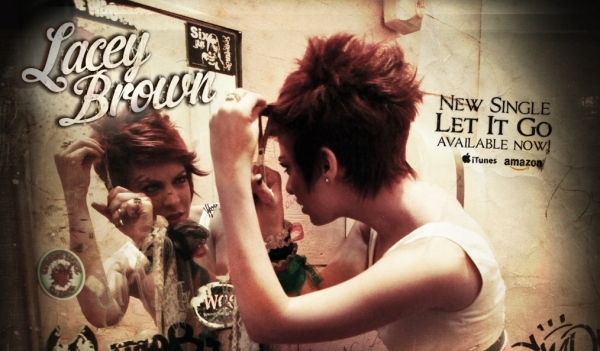 Read about what Lacey's been up to and keep up with information and shows on her new site. 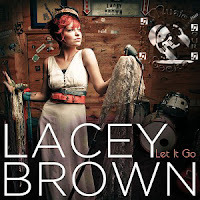 In the mean time, enjoy the new video from that release, "Let It Go"
Lacey's tune is also available here on this replay of our LIVE broadcast of 11.19.2011.
which is available in iTunes and on AmazonMP3. In May I signed on to Lawrence Music Group for Management, headed up by the one and only country legend Tracy Lawrence. I was so thrilled to find a team who I fit with just as much as they fit in with me. Also in May, I released my very first music project with the help of producer/songwriter Jason Hoard who I plan on doing more projects with in the future. “Let It Go” is now available on Itunes.com, Amazon.com and CDBaby. .....read more here.